Saint John the Baptist Parish was established in 1837 when Father John N. Neumann took up his residence here as first pastor. John Neumann was born in Prachatitz, Bohemia on March 28, 1811. After completing his seminary studies, though not yet ordained a priest, he came to New York City in June 1836 to work as a missionary. At the end of that month he was ordained in Saint Patrick's Cathedral by Bishop John DuBois and assigned immediately to the mission territory of the diocese in Western New York, where the Bishop told him there was a "great settlement of people at the other end of the Erie Canal who are in need of priests. 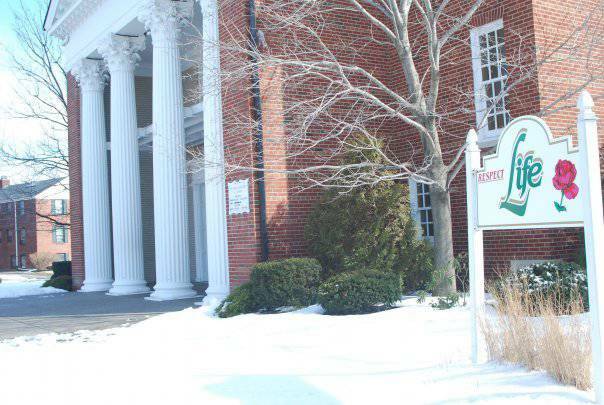 On July 12 he established his base in Williamsville, his principle mission, living at the home of Philip Wirtz, a prominent member of the congregation, across the street from Saints Peter and Paul Church which was then being built by parishioners. 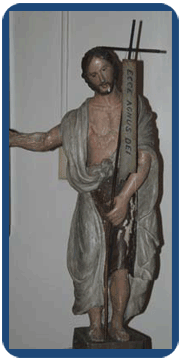 From this central point he traveled throughout the surrounding countryside- to Lake Ontario on the north and Batavia in the east- some 900 square miles in which he cared for the spiritual needs of some 300 families. On his first visit to North Bush (July 20, 1836), he found the log Chapel of Saint John the Baptist built by German Catholic settlers of the area in 1833. They came together here on Sunday to recite the rosary and occasionally for Mass when Fr. Mertz or Fr. Pax from Lamb of God Church (now St. Louis) in Buffalo was able to make the long trek out to the country. Seven months later Father Neumann moved to the home of John Schmitt in North Bush. Eventually a two-room log rectory was built adjacent to the chapel. Father Neumann moved in on November 4, 1838, using it as well as a school and a clinic for the local people. For two years more, on foot and horseback, he journeyed from mission to mission in Western New York caring for his dispersed flock and building four chapels and schools, where he held services and taught the children of the area. In 1840, worn down and exhausted from his endless exertion in this wild vineyard of the Lord, and on the advice of Father Pax, he left for New York and joined the Redemptorist Order in Pittsburgh. He returned briefly the following year to assist Father Pax in his illness. In 1852 he became Bishop of Philadelphia, organized the first parochial school system in the United States, and opened the first parish for Italian immigrants. He died suddenly eight years later, revered for his good works and his charity, and was buried in Saint Peter’s Church in Philadelphia. 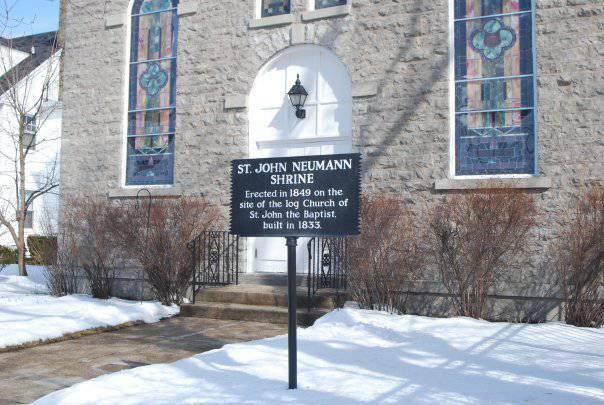 In 1977, to the great joy of the parishioners of St. John the Baptist Church, he was declared Saint John Neumann. The parishioners of Saint John’s believe firmly that Saint John Neumann has watched over the first of his labors for the faithful of the Lord, and from his place in heaven has continued to guide its destiny through his intercession and inspiration. His apostolic stay in North Bush was brief, but he planted a seed which would later grow into the vibrant center of Catholic life and worship we know today. But not immediately. For two years after his departure the parish was cared for from Saint Louis Church. From 1842-1848, priests and missionaries from Williamsville ministered to Saint John’s parishioners for part of each week. Even without a resident pastor the congregation grew large enough to open a school in 1848 and to raise the prospect of replacing the log chapel with a larger stone church. A parish debate ensued with a majority of the congregation opting to build the church on the higher, drier, more accessible terrain of Elyville Main and Englewood). The parish split, part erecting Saint Joseph’s Church as their new parish, the rest staying at St. John’s and replacing the log chapel with the present stone church we call The Chapel. The pastor of Saint Joseph’s serviced both congregations until 1892 when St. John’s was officially closed. Saint John’s parish has the reputation of being the second oldest parish in the Diocese of Buffalo. But there was a period of inactivity. Following Father Neumann it was a mission of Williamsville and then of Saint Joseph’s, with intermittent visits of the Jesuits and Redemptorists. For many years there was no activity whatsoever, the chapel was closed and just about abandoned. In 1909, after Saint Paul’s in Kenmore was erected, the pastor would open Saint John’s Chapel for Sunday afternoon services or would celebrate Mass on a special occasion. In 1927, Bishop William Turner granted permission to Father Charles Klauder to revitalize Saint John’s Parish as its second resident pastor. Father Klauder had come to the Buffalo Diocese after his ordination in Philadelphia in 1918 and served as assistant at Saint Rose of Lima, Saint Joseph’s and Saint Mary Magdalene’s. As a young man he had prayed at the tomb of Saint John Neumann. Now he would follow directly in his footsteps. Father Klauder’s vision became reality as the land surrounding the Chapel was developed and more families moved to the Kenmore suburbs. Sunday masses increased from one to four as the number of parish families doubled and tripled and grew even more. As pastor of his flock, Father Klauder planned an expansion program to build the physical facilities which would be the center of the spiritual and social service to which he felt God’s call. The parish, revived by a Philadelphia-born priest who followed in the footsteps of Saint John Neumann had come a long way. At the end of the 60’s it had a membership of 3600 families. The school alone had 1200 students. The physical facility suited the needs of the parishioners in every way, as a place to worship, to partake of the sacraments, to foster the religious education of the children, to bring the people together in social community and religious activity- to help the members of the parish to Love one another as I have loved you”, and to extend that love in helpful, healing and apostolic ways beyond the physical space in which they were housed. 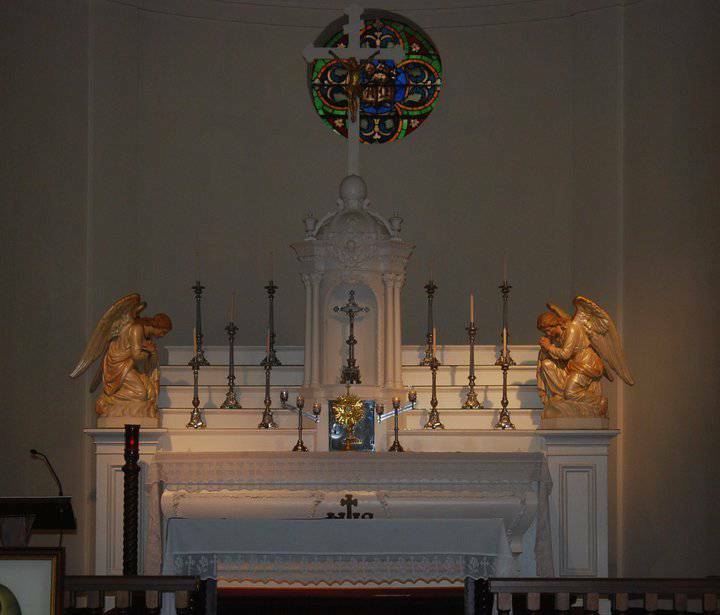 Monsignor Klauder used to visit the Neumann tomb in Saint Peter’s Church in Philadelphia when he returned to visit his relatives. “I walked in his footsteps all my life- in Philadelphia and at St. John’s.” In 1971, at the age of 91 he retired from active ministry. He joined Saint John Neumann in heaven the following year. Monsignor Klauder’s ministry at Saint John’s spanned forty five years. His legacy goes beyond bricks and mortar so essential at that moment of parochial growth. It touches the spirit which it sought to bring into modern times, that spirit still emanating from the stone Chapel on the spot where Saint John Neumann worshipped and worked. He taught his flock to look inside themselves, and around them, and out into the world and to find the love of Christ which can move mountains and inspire simple love. Wherever he led, his flock followed with trust and confidence. ©2019 St. John the Baptist R.C. Church All Rights Reserved.